The road freight sector is both a key enabler of economic activity and a key source of energy demand, in particular oil. Trucks rely almost exclusively on oil-based fuels. They are the second largest source of global oil demand, following passenger cars and at a similar level as the entire industry sector. Road freight is the largest source of global diesel demand, at around half of the global total. 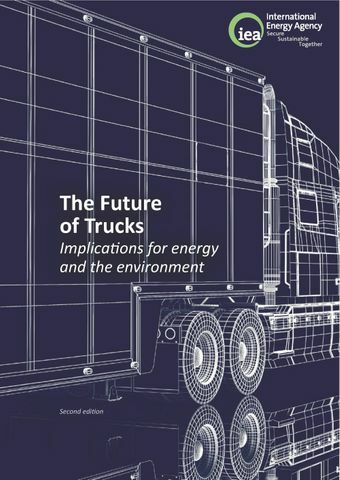 With this high dependency of trucks on oil come environmental concerns. Globally, more than one-third of transport-related CO2 emissions, and 7% of total energy-related CO2, come from road freight transport.This report outlines the ways in which vehicle efficiency technologies, systemic improvements in logistics and supply chain operations, and alternative fuels can ensure that road freight transport will continue to support economic growth while meeting key energy and environmental policy objectives.